Holland America Line is celebrating 70 years of taking cruise passengers to experience the natural wonders of Alaska. To mark this impressive milestone, the popular cruise line has debuted its 2017 Alaska & Europe Cruise Holidays brochure. The 40-page brochure features itineraries on board six of Holland America Line’s premium ships, including one of the newest ships to join their fleet, MS Koningsdam. The liners will set sail from Vancouver and Seattle between May and September 2017. 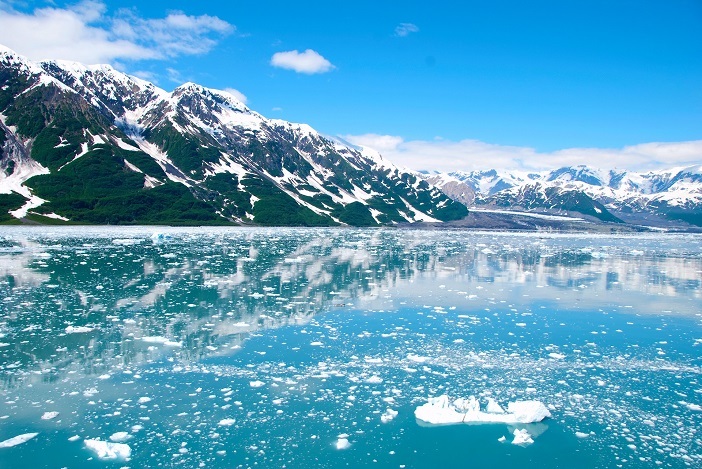 For anyone eager to experience Alaska’s ever-changing glacial landscape first hand, an Alaskan cruise is the perfect opportunity. Holland America Line will take you to several highly memorable locations, including into the Glacier Bay National Park where you will witness the UNESCO World Heritage Site that protects the unique Alaskan ecosystem of plants and animals. Looking for the perfect photo opportunity? Glacier Bay has more actively calving tidewater glaciers that anywhere else in the world, so you’ll be able to take pictures and watch in awe as monumental chunks of ice break away from the glaciers surrounding you and thunder into the sea below again and again. Both seven night and 14-night itineraries are available. The seven-night experience from Vancouver calls at Tracey Arm inlet, Juneau, Skagway, Glacier Bay National Park and Ketchikan, before returning to Vancouver. For a more in-depth Alaskan experience, Holland America Line is offering a 14-night Great Land Explorer round-trip from Seattle aboard the MS Amsterdam. The voyage will call in at Ketchikan, Juneau, Icy Straight Point, Anchorage, Homer, Kodiak, Hubbard Glacier, Sitka and Victoria, before returning to Seattle. Land and sea packages are also available if you prefer to immerse yourself in the full Alaskan coastal experience. Both 10 and 20-day Land & Sea Journeys can be booked and include up to three days in the Denali National Park staying at the newly refurbished McKinley Chalets Resort, as well as a ride of the glass-domed McKinley Explorer train from Anchorage. If you would like to experience the wilderness of Denali National Park and the calving tidewater glaciers of Glacier Bay, book your luxury Alaskan cruise with Holland America Line and Cruist1st today. To find out more, call our UK-based cruise specialists on 0808 274 6777.